Working with the Wolfgang Puck product team is a great experience, and I have really enjoyed photographing the company's cookware products and accessories. This photograph of a standing rib roast was designed to show off a baking pan that was included with an oven sold via infomercial. Styling of the meat and vegetables was handled by a member of Wolfgang Puck's team. 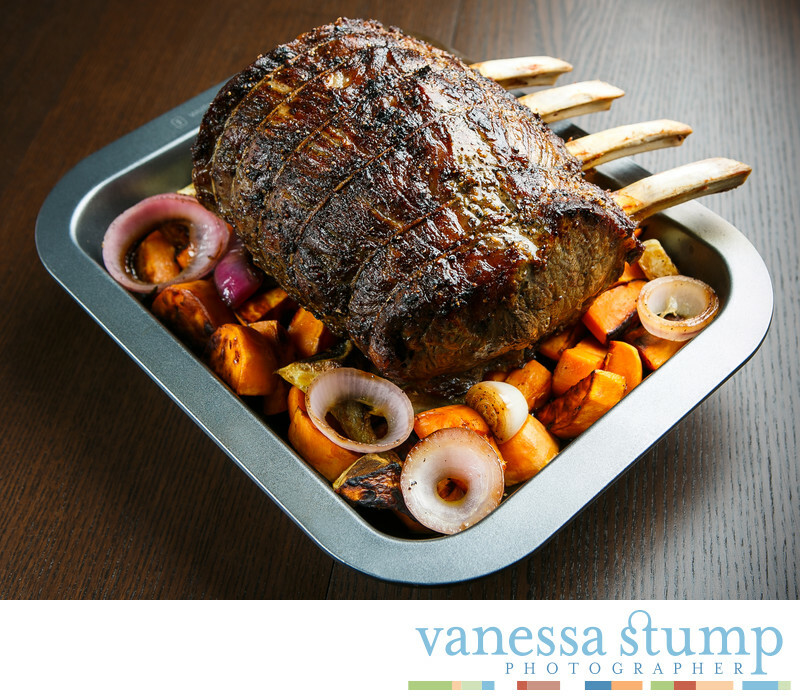 My job was to light and photograph the roast and pan in a way that would entice potential customers to buy. The end result was a televised marketing effort that resulted in a successful product launch.